The few times that I’ve been able to drive my car I have managed to catch some rain on each outing. 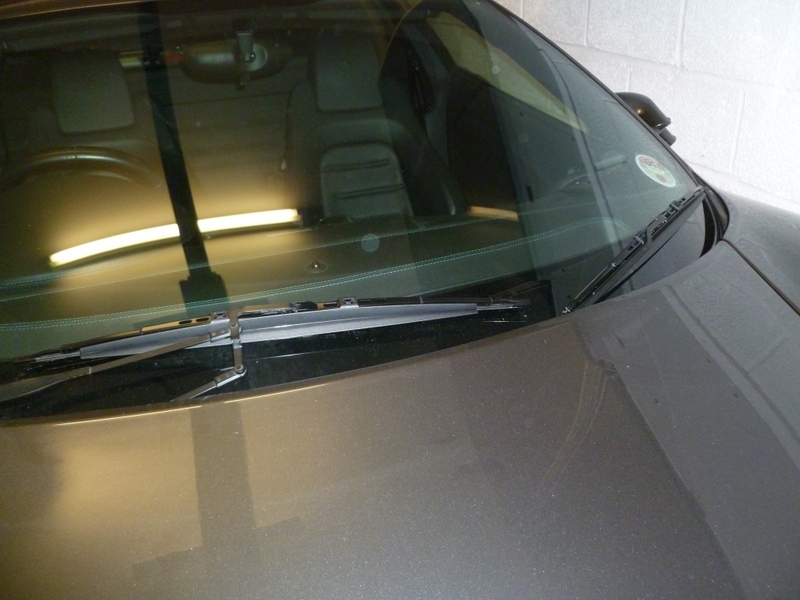 This exposed just how poor the wipers that were fitted to the car were – they weren’t the OEM parts and the rubbers were perished. 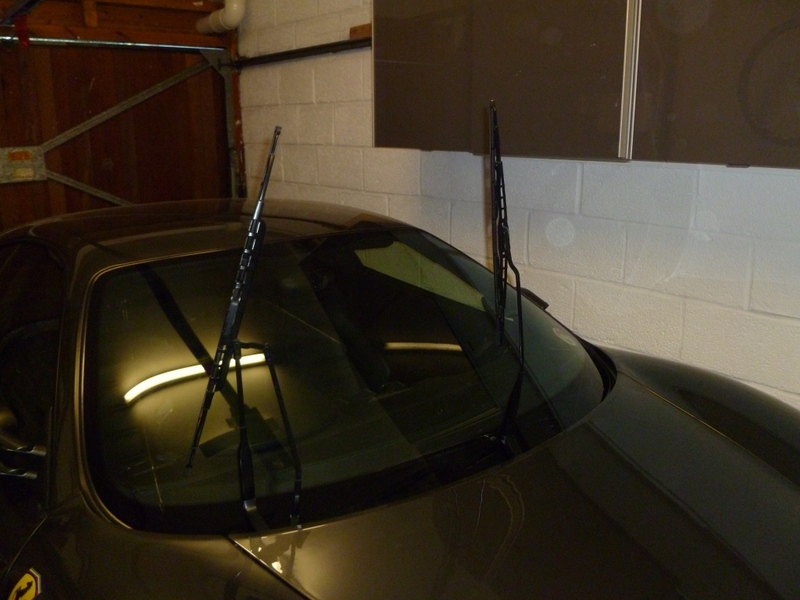 Sods law is that now I’ve fitted new wiper blades I wont see any rain, which wont be a bad thing at all. Over the last few years I have used many different types of “Aero” blades designed to be retro fitted to old style hook wiper arms. All of them have been a disappointment with the exception of the Trico Innovision blades. However these aren’t available anymore so I decided to fit what would have adorned the windscreen when the car rolled out of Maranello. 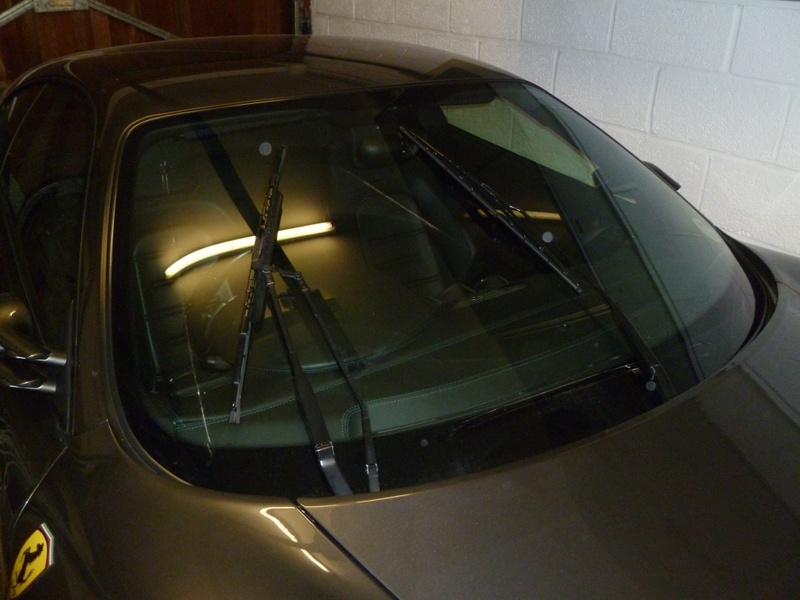 The OEM wipers are made by Bosch and are 24″ (600mm) on the drivers side and 21″ (530mm) on the passenger side. 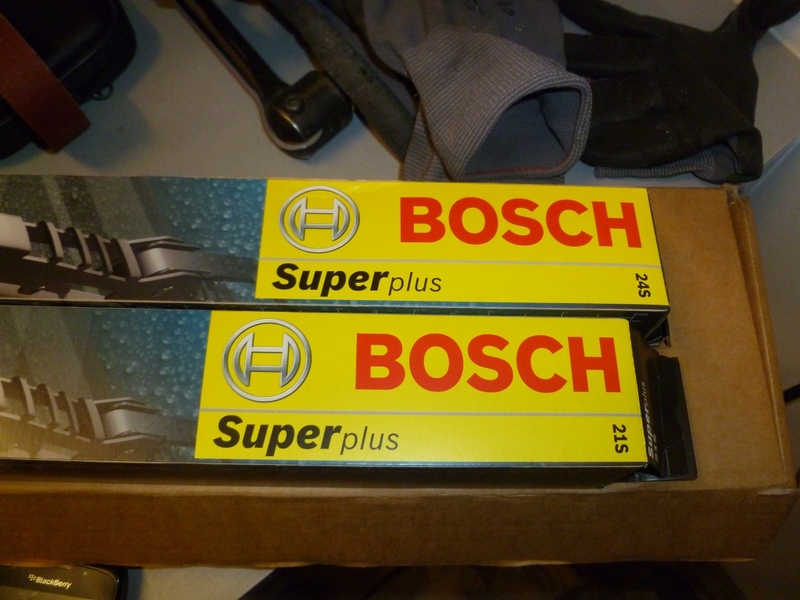 The Bosch part numbers are SP24S and SP21 respectively with the “S” suffix on the 24″ blade denoting a spoiler. In order to keep things balanced I decided to fit a 21″ blade with a spoiler on the passenger side and ordered a SP24S and a SP21S for a little under £15 delivered. Fitting is dead easy. 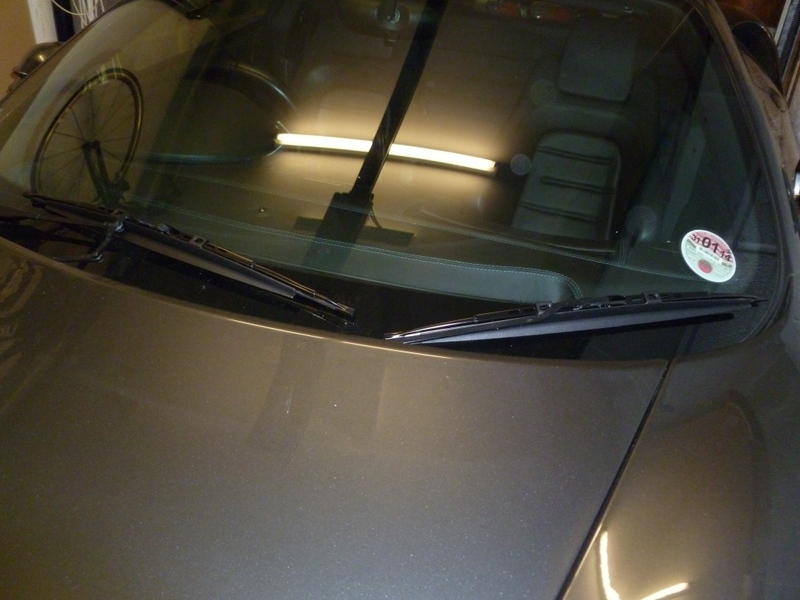 First of all stop the wipers mid-stroke by removing the ignition key whilst the wipers are going. The old wiper blades simply unclip. It’s worth giving the arms a little clean before clipping the new blades in place. Here’s a couple of pictures showing the new blades in place. Having a spoiler on both sides neatens things up. 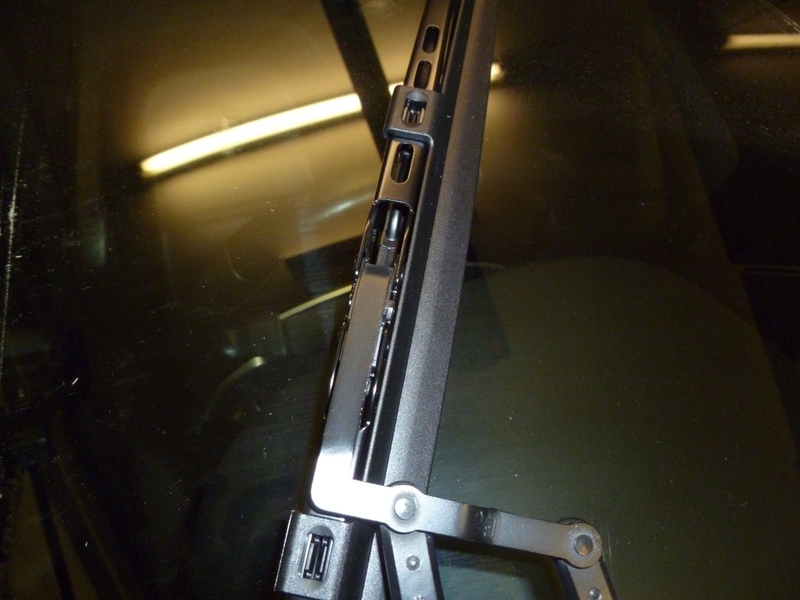 Note that the 360 and F430 share the same wiper arm arrangements. If you enjoyed this post why not subscribe to this blog for further updates? Simply enter your email address in the box at the bottom of this page. Your email address will not be shared.